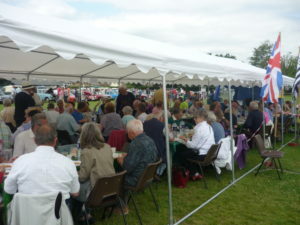 The Community Lunch this year will be hosted by Harlequin Carnival Club. Cheese and Ham Ploughman’s including a cider, glass of wine or a soft drink. Cream teas will also be available on a walk-in basis. Plus a fully stocked bar serving lager, beer, cider, wine, spirits etc.